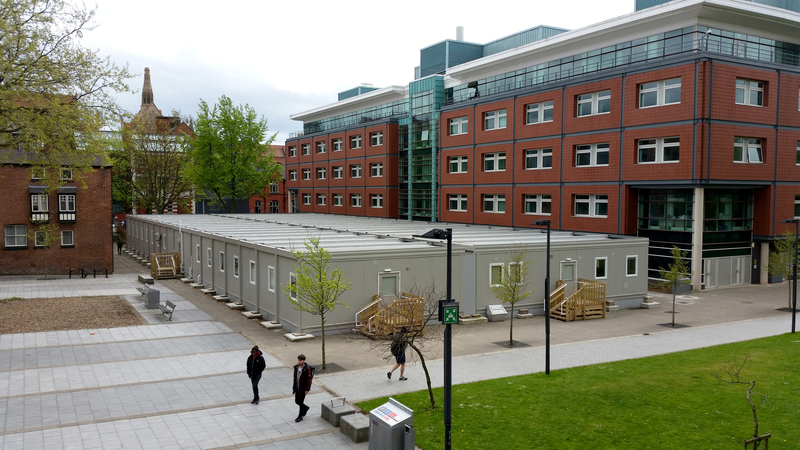 Premier Modular Limited provided Manchester University with a single-storey building offering a decant office facility. 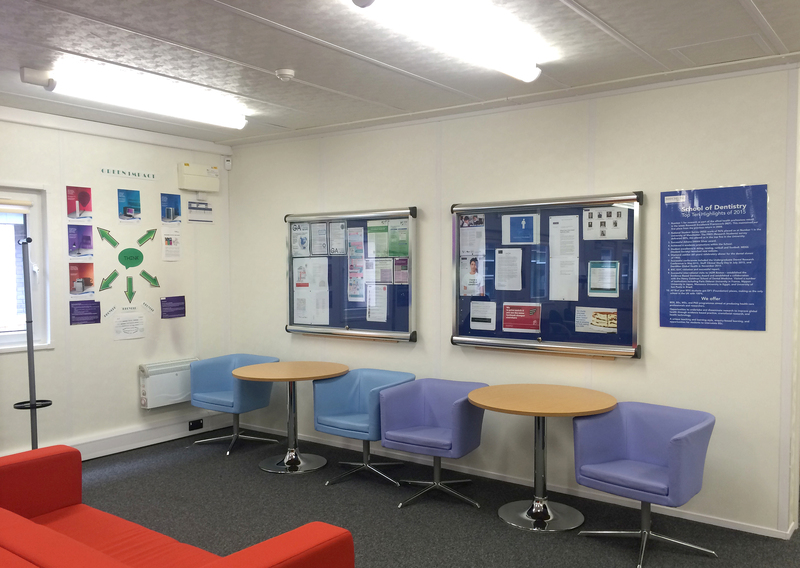 The building provided 1100m² of office and welfare space to assist the University whilst construction and refurbishment works were being carried out on the Dentistry Building. This meant the University needed a fast-track solution, which is where Premier stepped in. Premier operations team’s expertise was used to overcome a difficult and hard to access site just off the famous Oxford Road. 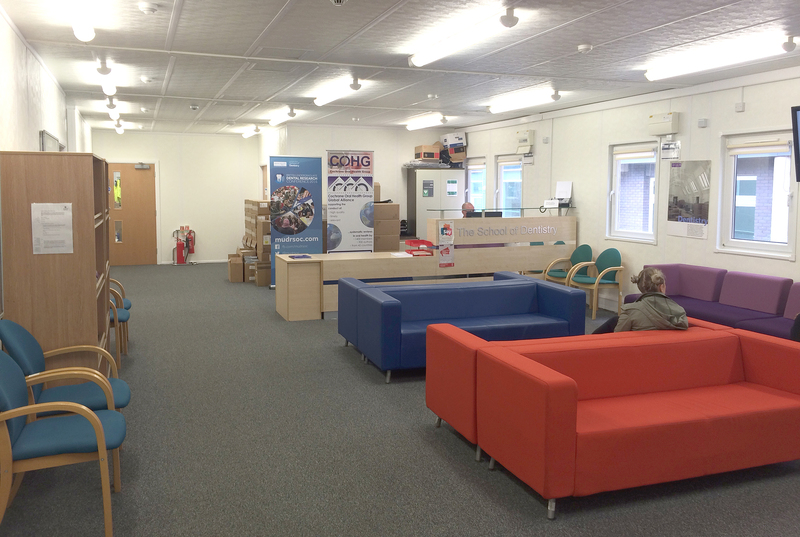 A 36-bay building was successfully installed onto a very busy site as a turnkey package providing all external works, foundations and connections for the University. 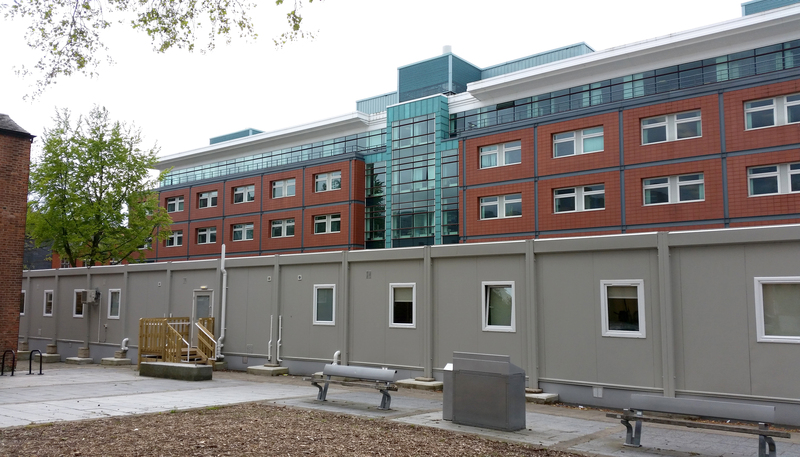 Premier Modular’s off-site construction techniques significantly reduce site disruption and safety issues especially important at Manchester University as students, staff and visitors continued to use areas around the site.